As the very best cleaning service in New Jersey, there are plenty of services that we offer to both residential and commercial spaces. We know that you would not entrust your Millville home or business to a company that could not provide you with the highest quality cleaning and more. This is why we go above and beyond each time we visit your space. We will make sure that every job you have hired us to do is performed with the utmost effort so that you are beyond happy with the results once we leave. Learn more about the cleaning services we offer in Millville below. As any other professional and trustworthy company, we are fully licensed, bonded and insured. Our team of experts undergo strict interview processes, thorough background checks, and an intensive training period so that you know you are getting a quality you can trust. Our professional teams of individuals are well trained to deal with our customers’ needs in a professional and courteous manner. Caused by an accumulation of moisture, mold is dangerous to both your family’s health and the structure of your home, as it spreads quickly, rotting wood and plaster while excreting spores which can be breathed in by anyone in the vicinity. These spores may become lodged inside the lungs and create a reaction which may make you very sick. We can remove this mold from your home so that you can live comfortably and not in fear. Additionally, we offer mold prevention services such as basement sealing and more! 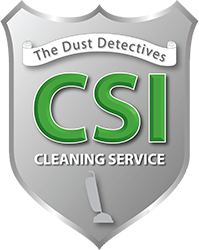 CSI Cleaning is your premier Softwash provider for the Millville area. It is very important to keep your home’s exterior clean. When you hire someone to complete the job, it is important that it is going to last. Our Soft Washing system makes sure that no water, mildew, mold or dirt is just being pushed under the siding. There’s no damage to your home and our advanced pressure-less washing system is effective and thorough which saves you a lot of money in the long run.